Real Focus offers CPD training for Real Estate Professionals keeping them compliant. 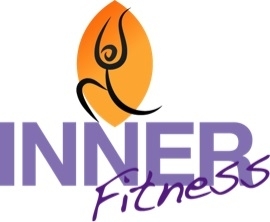 Inner Fitness combines Life Coaching - Pilates - Professional Development for the individual. Our FETCH program brings into focus ALL areas of life whilst maintaining the ultimate work life balance we all yearn for. Become Life Coach -NLP Practitioner - Archetype Coach Training & Certification Program	Find out more. Upgrade your coaching skills to become an NLP Master Practitioner and become a licensed “Archetypes of The Enneagram” coach and trainer. Duration: up to 6 months including pre-training courseware and videos; live webinars; plus face to face workshops for hands-on training over 3 x 3 day weekends. This training is designed to enable coaches, teachers, trainers, and leaders to coach the whole person. Leadership Evolves 2 day conference for Coaches, Management & Business Owners Sydney - September 2019. Find out more. Provide Leadership across the organisation - gain competence and recognition in the Advanced Diploma of Leadership & Management - Your pathway to a higher education. Includes training resources for the full workshop for you to take-away. When you attend this 2 day Leadership Evolves event, you will gain a new found and profound self awareness and self knowledge, which will give you the power to unlock the hidden potential in YOU (and your team) and let it be a pathway to increase your Leadership qualifications. Join us for ONE day only - First day of the event... taste the enlightenment. Conditions apply - no takeaway learning material. Attend the full event and walk away with access to all the written and recorded resources you can imagine. Real Estate CPD training - keep you compliant. Find out more. Keeping you compliant with exciting high value training. Mind-set coaching- Archetypes of The Enneagram Dance of the Dragon	Find out more. Decoding your passion and unearthing your highest ideals. DIY form part of the Archetypes of The Enneagram journey. Forms part of the Archetypes of The Enneagram journey. Passion and Purpose coaching program via virtual campus - Live training in the comfort of your own surroundings- Can be used in conjunction with face-2-face coaching as a flexible cost saving way of achieving transformation. Breakthrough to Success -Archetypal coaching helping you to discover your Passion and explore your Purpose. 3 sessions up to 2 hours each. Casual rate $220.00 per session or... choose a 3 pack program for $495 (save $165). Casual rate $220.00 per session or... choose 3 pack for $495 (saving of $165). Available at Norwest Business park. Pilates Mat &/or Reformer training	Find out more. Private - Posture Assessment to determine rehabilitation program specific to the individual. Free Walking program to improve fitness	Find out more. Free weekly walking group around Norwest lakeside. Duration: up to 6 months including pre-training courseware and videos; live webinars; plus face to face workshops for hands-on training over 2 x 3 day weekends. Continuing exercise program to improve joint flexibility, mobility, breathing control and postural awareness. with Archetypes of The Enneagram - Dance of the Dragon https://evelynolivares.com.au/life-coaching/ Breakthrough to Success -Archetypal coaching helping you to discover your Passion and explore your Purpose. 3 sessions up to 2 hours each. Casual rate $220.00 per session or... choose a 3 pack program for $495 (save $165). Archetypes of The Enneagram Dance of the Dragon https://evelynolivares.com.au/life-coaching/ Casual rate $220.00 per session or... choose 3 pack for $495 (saving of $165). Available at Norwest Business park. Forms part of the Archetypes of The Enneagram journey. https://evelynolivares.com.au/life-coaching/ Passion and Purpose coaching program via virtual campus - Live training in the comfort of your own surroundings- Can be used in conjunction with face-2-face coaching as a flexible cost saving way of achieving transformation.